You have a lot of choices in the pavers you use: concrete, brick. 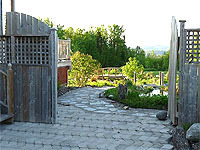 Landscaping products supplier offer a variety of sizes, colors and shape. 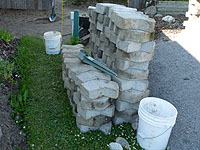 For a cheap paver walkway or path, why not to use recycled wall retaining blocks? Do your pattern before laying the concrete blocks. 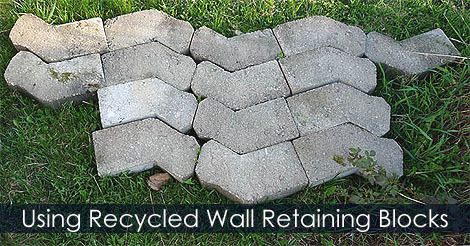 Learn how to use wall retaning blocks as a concrete pavers.